Flooid Power is energy generated by a force that’s not going away anytime soon — the gravity inherent in Earth’s mass. Flooid Power uses displacement and buoyancy to generate affordable, continuous electricity for homes and businesses — all within a self-contained, non-polluting unit that pays for itself in under 3 years. Flooid Power Systems has designed, patented, built, and tested our revolutionary energy system, which can deliver renewable power anywhere there’s solid ground and air. 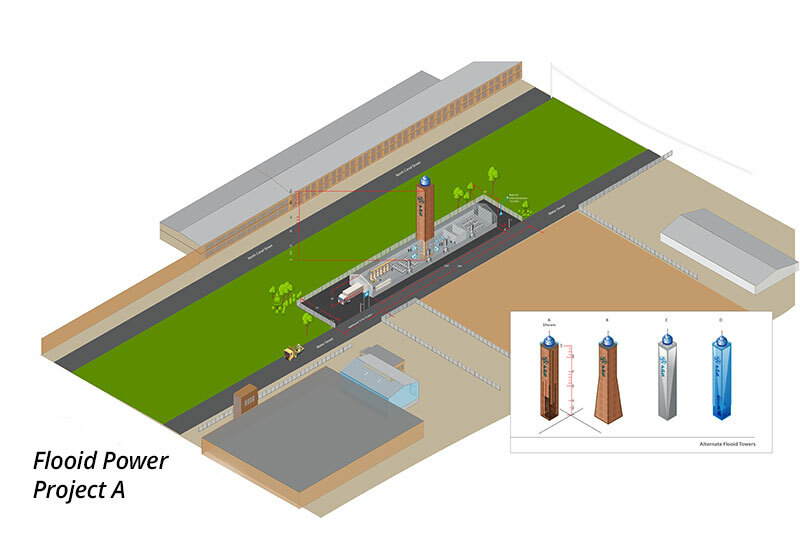 The Flooid Tower is designed primarily for microgrids and distributed power applications, in which generation is sited close to the end user, improving demand response and minimizing line loss. Distributed generation systems significantly strengthen traditional power grids, adding redundancy and reliability. Flooid Power Project A, a 120-foot Flooid Tower, is being built in collaboration with, and on land owned by, Holyoke Gas & Electric, and will be our first fully operational Flooid Power plant. Phase I of Project A will provide continuous electricity to approximately 365 homes (4,020,840 kWhs/year), producing significant annual revenues and demonstrating the Flooid Power process in a local setting. Phases II and III will bring Project A to the full capacity of 4.13 MWs, powering up to 3,285 homes (36,187,560 KWHs/year) and producing approximately $4,184,000-$6,660,000 in revenue. 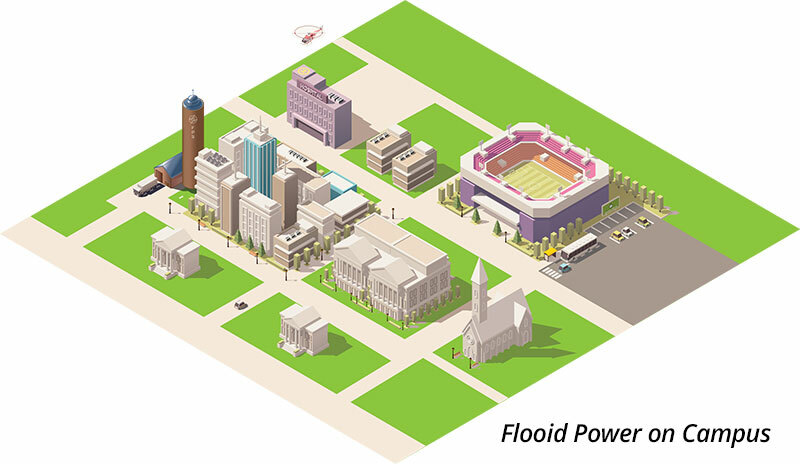 Project A will enable Flooid Power Systems to refine the engineering, design, and layout for future Flooid Power plants, minimizing cost and delay as we prepare to build larger, utility-scale Flooid Power plants. 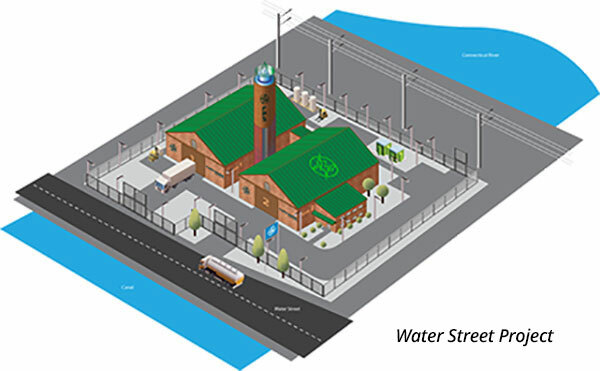 The first of these, our Water Street Project, is only a half-mile away from Project A and will be a 24.5MW continuous-output Flooid Power plant located on an old manufacturing site. This plant will provide for fully one-third of the city’s electrical needs, and at a contracted, low long-term rate. With a small footprint and high continuous output, Flooid Power’s future includes providing on-site, distributed power in cities around the world. These reliable, redundant, and renewable microgrids will maximize efficiency while eliminating dips and outages. Needing only enclosed, vertical space to produce power, Flooid Power is a perfect fit for new construction projects. 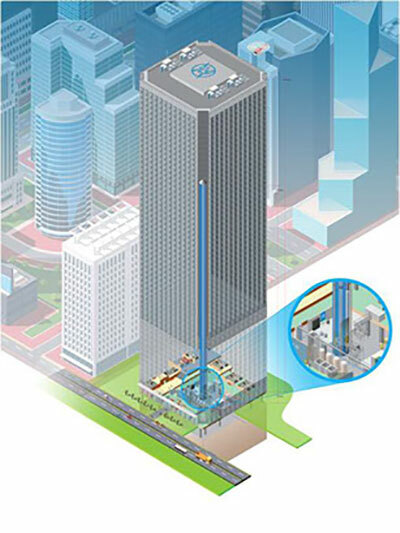 Using only 150 sq/ft per floor up-and-down 40 floors of a building (similar to an elevator shaft), Flooid Power provides standalone, continuous power for its “host building,” as well as for the surrounding community. This means that the owner of the “host building” not only saves on energy costs, but also makes revenue selling power to the local microgrid. Got Solid Ground & Air? Flooid Power's there. 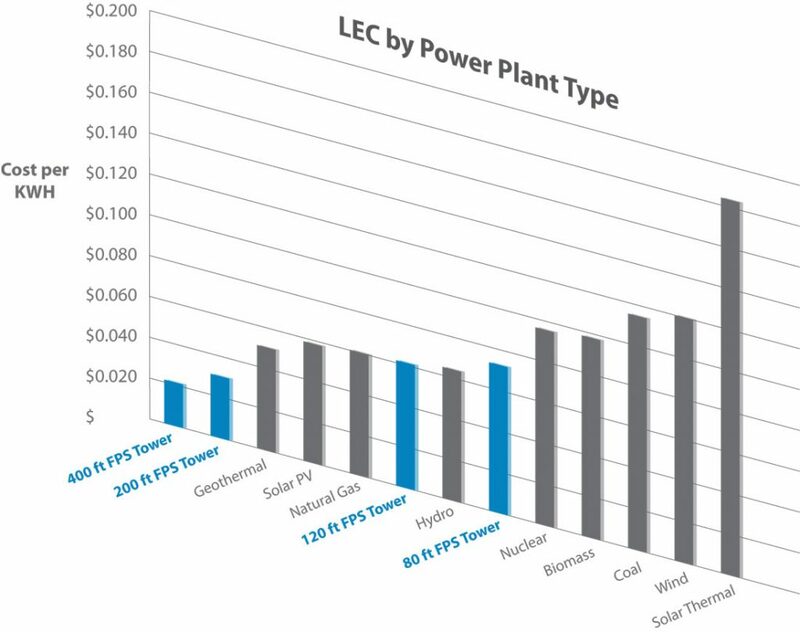 Flooid Power facilities are compact, requiring only 4.5 sq-ft/kW or 4,500 sq-ft/MW of installed capacity, comparing favorably with both renewable and fossil-fuel-based power producers. Operational 24/7/365, with redundancy of equipment to ensure power production during maintenance periods and off-duty cycles.